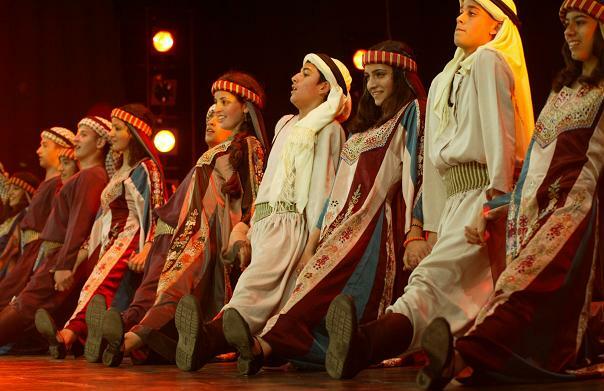 Since its establishment in 1986, Bara’em El-Funoun has performed dozens of folkloric dances on many different occasions and festivals. However, this production is considered Barae’m El-Funoun’s first production. “Palestinian Folk Vista” is a folklore-based dance show, which couples authentic musical and story-telling themes from traditional Arab-Palestinian culture with creative artistic expression through dance movements. Each dance carries an idea, a story, or a theme that the young performers can relate to and can convey to their audiences.